2014 October | WIC Reset Utility. Reset the Waste Ink Pad Counters by WIC. How to downgrade printers firmware? Video tutorial. Posted in Video Tutorials Comments Off on How to downgrade printers firmware? Video tutorial. Parts inside your printer are at the end of their service life. See Your ducumentation. My printer is Epson Artisan 1430. What should I do? Posted in F A Q Comments Off on Parts inside your printer are at the end of their service life. See Your ducumentation. My printer is Epson Artisan 1430. What should I do? I get ‘could not write value to printer EEPROM. Printer communication error’ message when using WIC utility. Posted in F A Q Tags: could not write, docking ctation, printer EEPROM, usb cable, WIC error, wic reset, write value, write value to printer EEPROM Comments Off on I get ‘could not write value to printer EEPROM. Printer communication error’ message when using WIC utility. How can I check my Reset Key – is it still valid or is it used already? You can check Reset Key status any time You want. See video tutorial How to check Reset Keys status? Posted in Video Tutorials Comments Off on How can I check my Reset Key – is it still valid or is it used already? Posted in F A Q, Video Tutorials Comments Off on How can I Check (Read) Waste Ink Counters? 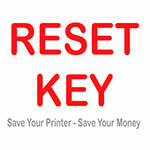 Does Reset Key have expiration date? The Reset Key for WIC Reset Utility doesn’t have expiration date. You can use it in one or two or ten years after purchasing. The Reset Key is valid until it is used. The Reset key is for one reset only. Posted in F A Q Comments Off on Does Reset Key have expiration date?